Energy Recovery pioneers oil and gas technology essential to recapturing energy. Evviva helped channel some into the launch of their groundbreaking new flagship product. 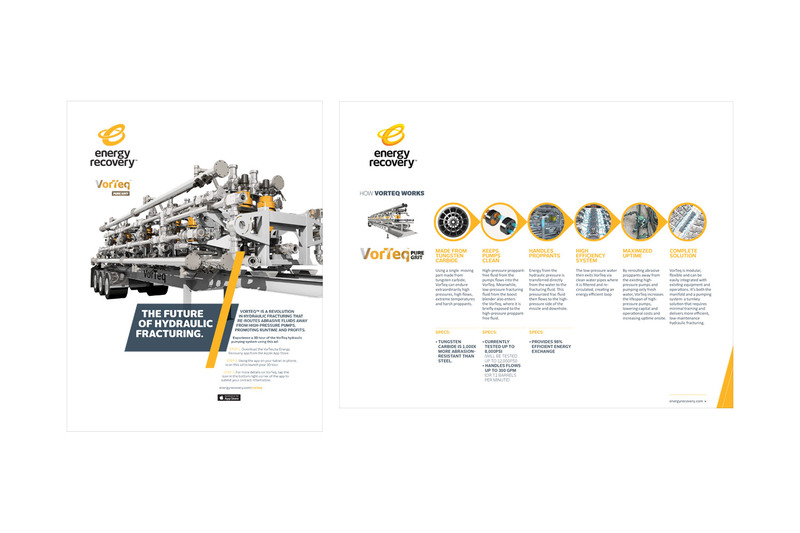 Energy Recovery‘s innovative VorTeq uses their patent pressure exchange (PX) technology to divert abrasive materiel away from high-pressure pumps, and keeps job sites running. But new ideas can be a tough sell in the notoriously conservative oil and gas space. 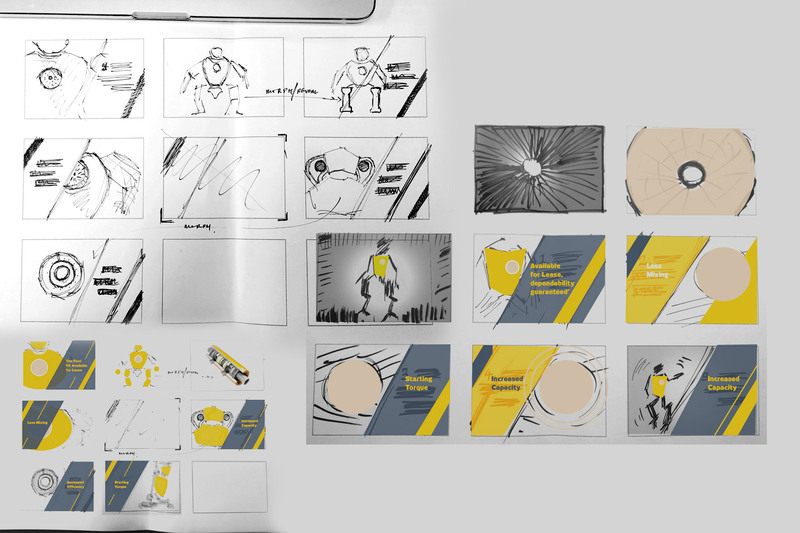 Evviva came aboard to develop strategy, product positioning, messaging and design for product launch–and helped the company land one of their biggest deals ever. 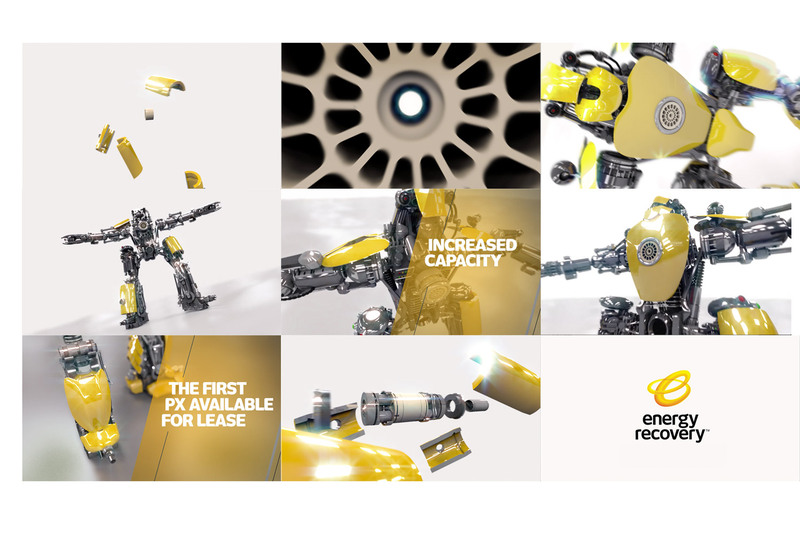 By digging deep into Energy Recovery’s sales process and targets, we learned most operators were small, independently-operated outfits, densely focused in Texas and Pennsylvania. We visited trade shows in the US and UK, interviewing analysts, leading wildcatters and representatives from major players. We learned that the informal network of operators was the the industry’s only trusted source of recommendations, and that the only way to earn those recommendations was to be proven tough, yet simple to use. 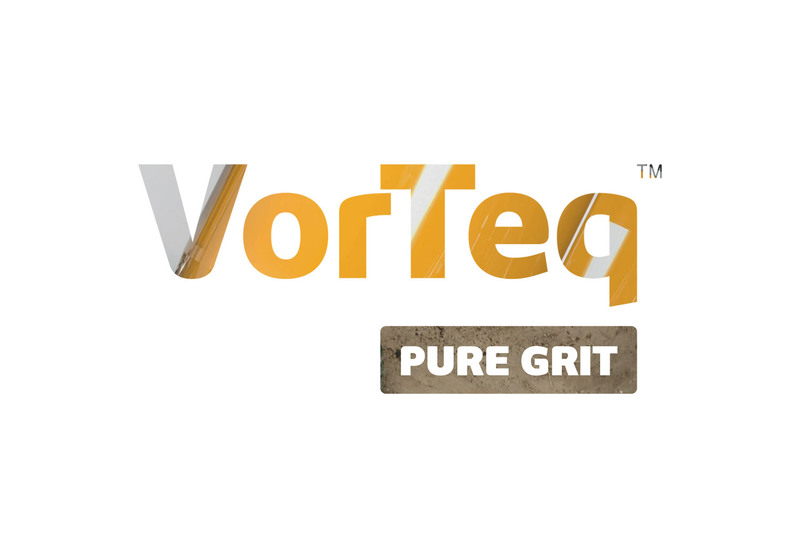 We focused on the proposition that VorTeq’s unique technology kept water and abrasive materiel separate, extending pump life and lowering costs and positioned VorTeq around the idea of Pure Grit, a simple, robust line the industry immediately responded to. 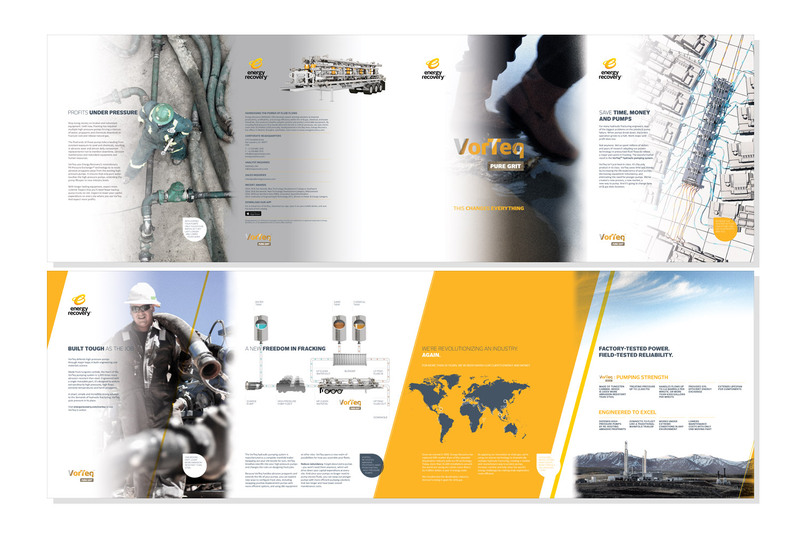 We developed a clear, straightforward taxonomy of messages and hierarchy, a suite of communications materials and traditional sales brochures and analyst information packets. Despite a profound reversal in global oil markets that sent the price per barrel plunging from over $100 to less than $30 and decimated the fracking industry, the idea caught on. 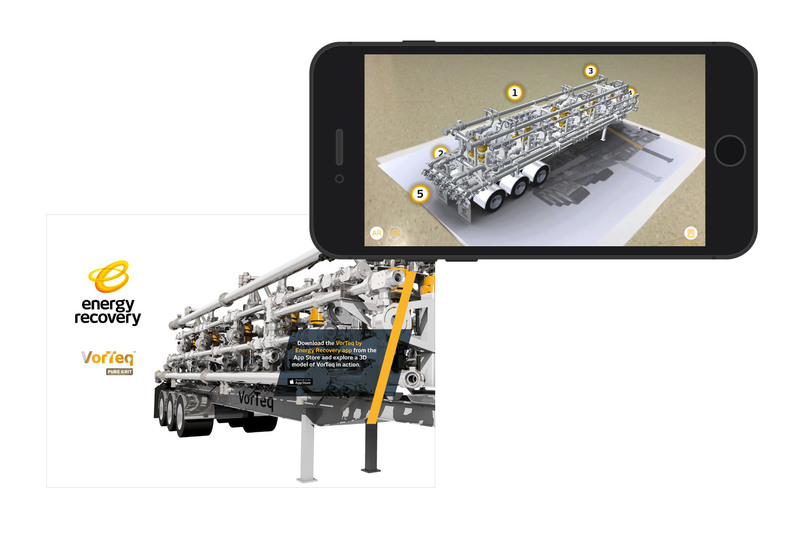 After several months of roads shows and meetings, VorTeq was successfully licensed to industry giant Schlumberger for $125 million in an exclusive, unprecedented 15-year deal, leading to headlines like, “Small fry hooks a giant” and sending Energy Recovery’s stock soaring.